Do the members of your family each have a favorite cookie? Viennese raspberry cookies have always been my younger brother’s favorite! Even as a little kid, his palette enjoyed the light and fluffy meringue that tops this delectable cookie. I discovered a secret to keeping these cookies delectably intact. Put the tray of uncut cookies in the freezer for a couple of hours. Then remove the tray to a shelf and let sit for 7 to 8 minutes. With help from another person, simultaneously hold the corners of the parchment paper and lift cookies out of tray onto a large cutting board. holding each corner of the parchment paper. With a sharp knife, cut the cookies into 1 1/2-inch squares. Clean the knife frequently if the meringue sticks to it. Line the bottom of a shallow container with waxed paper. Lay the cookies in the container. Do not stack the cookies because this will compress the meringue. Then freeze! This is a much better storage method than using resealable bags. Believe me, I’ve tried resealable bags and they just don’t work for these cookies! 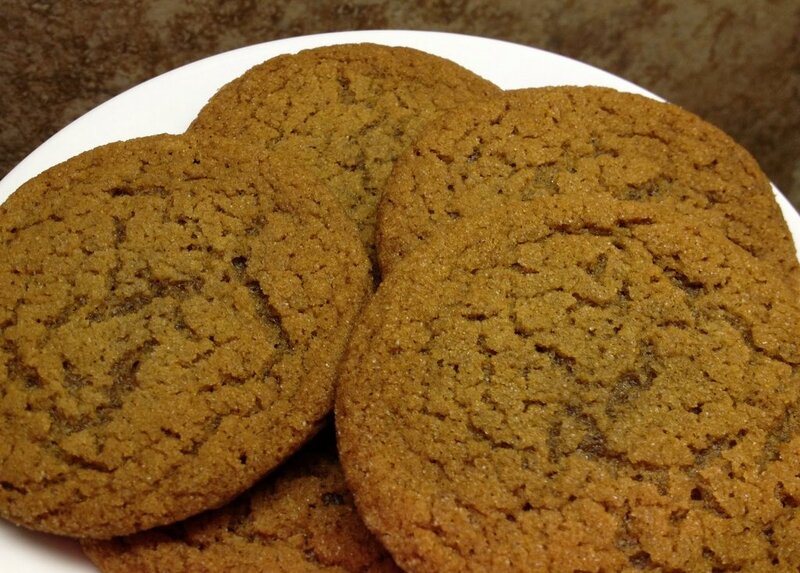 Another important tidbit about these cookies is make them on a day that is dry–very little humidity and no rain. Today I failed to remember my own advice. It has been raining all day and I made the cookies anyway. Whoops! Fortunately, I also made them a few weeks ago and took a picture. That meringue turned out beautifully (as you can see). Today’s meringue was, well, rather disappointing. So remember, only make these cookies on a sunny, dry day! So to help you remember that these are dry-day cookies, take a listen to Nancy Wilson singing “When the Sun Comes Out.” I absolutely love her rendition. I have always been partial to torch songs and this song is the epitome of a torch song. Plus Nancy Wilson’s brilliant execution uses the full range of her voice. 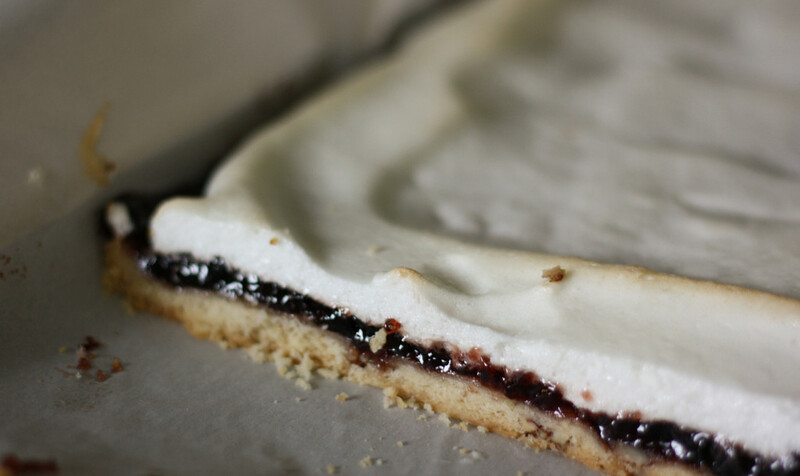 The timbres she produces and blends are as varied as the textures combined in the Viennese raspberry cookies: the rustic crust, the smooth jam, and the fluffy meringue. Bake these cookies on a dry day. 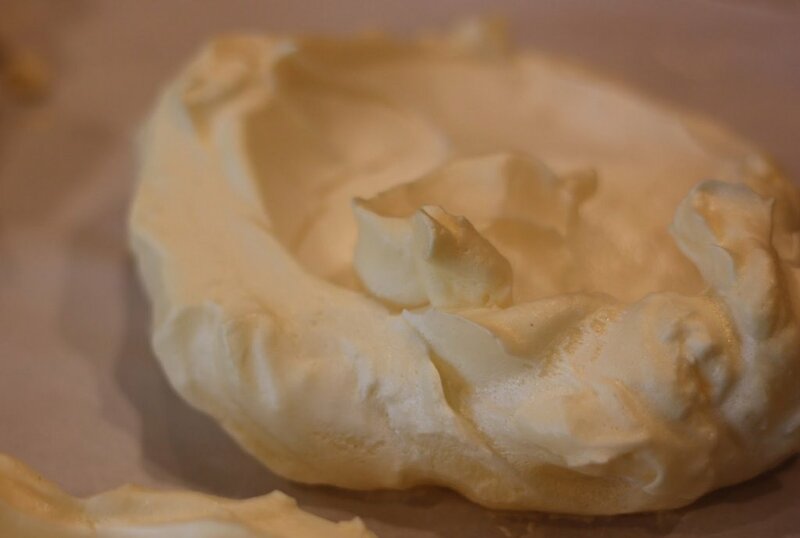 Moisture prevents the meringue from properly setting. Line a 10½” x 15 ½” jelly roll pan with parchment paper. Pulse pecans in food processor until very small pieces. Put into a small bowl. Add salt and flour. Stir to combine. Set aside. In a medium mixing bowl, cream butter and confectioner’s sugar with electric mixer. Add flour mixture to creamed mixture. 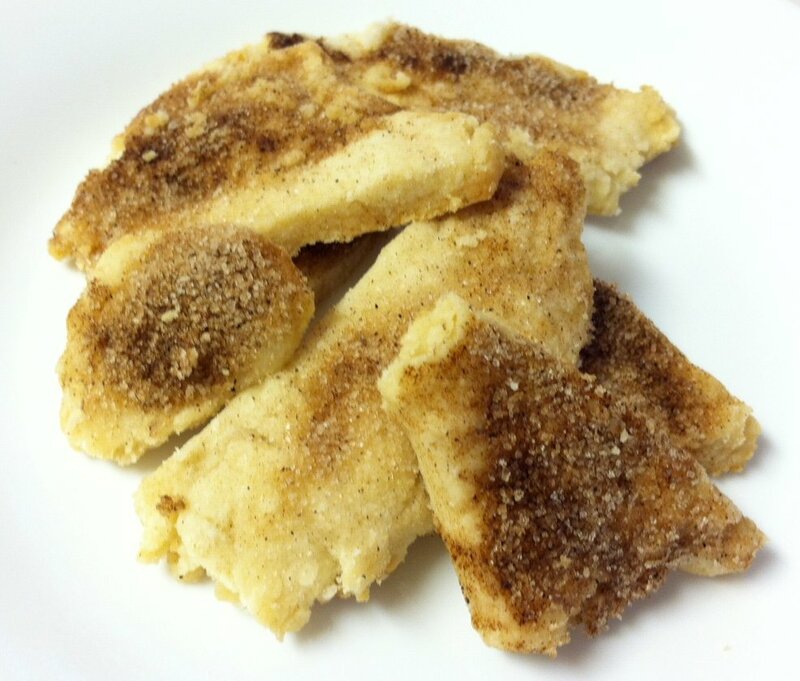 Blend with a pastry cutter or on low speed of electric mixer until crumbly. Dump crumbly crust dough onto parchment paper, spreading loosely to the edges. .
Press dough together and toward the edges of the pan. Bake at 350° for 18 minutes just until golden brown. Remove from oven. Place jam in a microwaveable bowl. On low setting, warm jam for 1-2 minutes. Stir to make jam smoother. Drop dollops of jam onto hot crust. Let jam sit for a minute allowing heat from crust to continue to soften the jam. Using the back of a large spoon gently spread the jam over dough to the edges of the pan. Set aside. In a large mixing bowl, beat eggs whites and cream of tartar together until soft peaks form. While mixer is still beating egg whites, add 2 tablespoons of granulated sugar at a time. Only beat until soft peaks can form. Do not beat to get stiff peaks. Drop dollops of egg white mixture over the jam. Connect egg white mixture dollops to cover jam, sealing it to the sides of the pan. Bake for 8 minutes longer until meringue topping has lost its sheen and is slightly golden brown. Set pan on cooling rack. When cool, lift cookies out of pan by the ends of the parchment paper and set onto a cutting board. Using a sharp knife, cut into 1-inch squares. Repeatedly clean knife with water when it gets to sticky to make a clean cut.